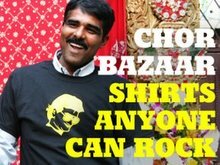 CHOR BAZAAR WORKSHOP: Box Cutter T-shirt, Really? I stumbled on this t-shirt by chance and couldn't help but post it for it bewilderment. These days the misuse of box cutters has become a real problem. These tools in the wrong hands can cause some serious damage. In an effort to raise awareness about the epidemic, I have created this bold design. 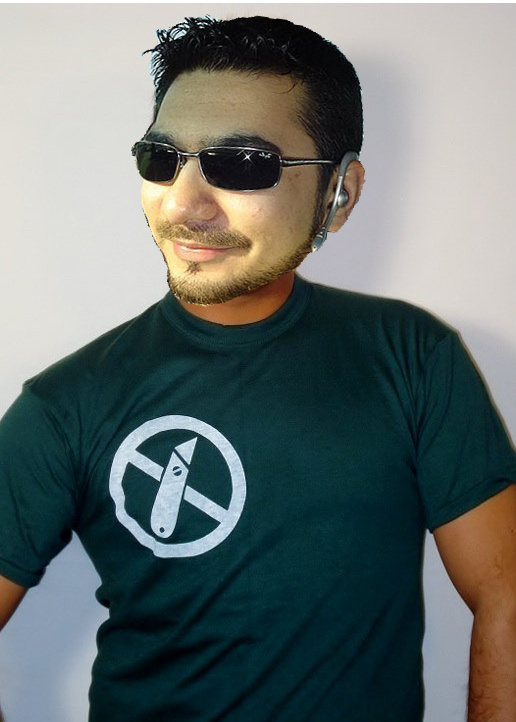 So show that you use box cutters responsibly by adding this shirt to your wardrobe. We all know what box cutters insinuate. What "stockboydesign" did not take into consideration is the reaction from airport security if someone from the Middle East or South Asian decent rocked one of these while trying to check in? The irony is the dood pictured (above) with the t-shirt. I don't think that he would have much of a problem with security. Now imagine Faisal Shahzad with the same t-shirt. Chances are, that he is going to miss his flight. I am still puzzled by the idea, that the box cutter graphic teaches us about box cutters responsibly. Where is the epidemic anyway?